Every Saturday I celebrate with Ruth Ayres at Discover Play Build. and link with others who share their celebrations, too. It's a wonderful thing to find both little and big things in one's life to celebrate. It's fitting to post these two together because Ruth is one of the creators of Two Writing Teachers, and one of my first commenters. It's great to share celebrations with her and others each week. 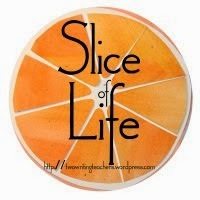 Today, I'm continuing to slice with the Two Writing Teachers community for Day Five of Thirty-One of the Slice of Life Challenge in March. Thank you to all the "writing teachers": Stacey, Tara, Anna, Betsy, Dana, Kathleen, Beth, and Deb. I had a tough week physically, and after a great physical check up last week, it was a surprise, and not fun. I have some dental problems that won't be resolved soon, am struggling to keep the pain manageable, won't give all the gory details, but have a little surgery coming in a couple of weeks that hopefully will save a tooth. What to celebrate: I had the good fortune to be able to get into my regular dentist, and then two other specialists the next day. They were helpful, gracious and kind, accommodated the added appointments. Wow, I was so relieved to have some experts see me. Nearly every week I celebrate having my granddaughters visit, and I managed that again, too. And both visits were wonderful fun. I'll need to write more about them another time. And, I don't write as often about him because my oldest grandchild, a nearly 15 year old boy, lives in another state, so we aren't as much in touch. This week, I'm proud to say that he just achieved the honor of Eagle Scout. He has worked hard since Cubs in the Scouts, has had many opportunities to learn and grow and lead, and I am very proud of this accomplishment. Finally, because of others mentioning their own blogiversaries, I remembered that on March 1st, I passed the five year mark. With nearly 1200 posts, I am proud of myself, my persistence and that I didn't quit, even in the toughest of times. One of those reasons I didn't quit is the continuing support and love from bloggers all over the world who have read my words, and given me comfort. During these five years I have met some of you personally, and it was a joy to be together, just like old friends. Blogging is a unique opportunity to learn more about people in the world we might never meet, and I won't ever forget the virtual hugs I received during those mentioned hard times. Some of you started about the same time, and like me, on the Slice of Life challenge, and we are still here! We have watched children grow in our families, listened about job changes, and heart-breaking loss. And we've shared funny stories and stories of hope. We have traveled together! I remember others who were interesting and creative, but have dropped away into other parts of their lives I suppose. Writing means the world to me, and perhaps someday I will be published, but really the motivation is the writing. It fills me up in profound ways, and I am grateful for this passion I am able to fulfill. Happy writing everyone, wherever you might be. 5 years! Congratulations. This made me think about how long my blog is around. I just realized it's a long time too. October 2010 was my first post. Whoa. Never even thought about it. I am so glad to have found you in the big world of bloggers out there! And I'm so happy to have found you, too, Carrie. Now you know you can celebrate number six this October! Have a great weekend. Linda, comfort to you in your physical challenges. Congratulations to your grandson on his Eagle Scout. That is quite an achievement. Thank you for celebrating blogging. I have enjoyed connecting with you. Your offer a calm wisdom and thoughtfulness in your writing. Thank you. You're welcome, Kendra. 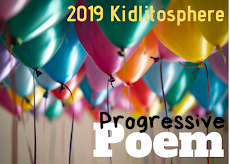 It is something that is hard to describe to those who don't blog and connect, but I am so grateful to keep writing with others like you. You mention so many reasons I, too, am GLAD I started blogging with the 2012 Slice of Life Story Challenge. And congratulations to your Eagle Scout- that is a big accomplishment. Thank you. I am proud of my grandson for sure! It is a pleasure to be in a group that shares and supports. Hooray for your Eagle Scout - that's an achievement which takes hard work and commitment. We've been blogging for the same amount of time, Linda - and I am ever so grateful for your friendship and readership. As for the upcoming surgery...I, unfortunately, have the same issues. Ugh. But, we'll get through! Thanks Tara, Carter has worked so hard to earn this honor. I am very proud of him. I know there is a group of us who started at the same time, am amazed and happy that so many of us have kept going! Thanks for your friendship too. I won't forget our terrific time at NCTE that year. And, best wishes in your health stuff too. I am wishing hard it would go away (ha! ), but know it probably won't. "If wishes were horses"
Hope you are feeling better soon. Teeth issues are tough. Congratulations on Eagle Scout. WOW!!! What an achievement! I'm grateful to call you a friend and I hope that we will be able to meet in real life one day. I love visiting and reading your blog! Thanks, Michelle, for the wishes and the congratulations and the friendship. I hope we'll meet someday too! It's lovely to have such a group around me. Congratulations! That is a lot to celebrate, despite some bumps in the road. Thank you for writing about these aspects of your life with such dedication! Thanks, Aileen, guess this is life as we live it, right? I am glad to celebrate most everything in the day to day. I love your reflection about blogging. It captures the feelings so well! Have a wonderful week full of more moments to celebrate! Thanks Andrea, happy you liked that part. Happy blogiversary, Linda! I am sure, like me, you did not anticipate the places our writing would take us when we first pushed publish and sent our words to places then unknown. It is delightful to hear you speak of fulfilling a passion by writing. Story matters! Thank you for sharing yours. No, I know we didn't imagine the wonderful connections, Kim. Great to hear from you! 1200 posts in five years - wow! wow! wow! I have been blogging a little longer, but with far less impressive total posts. Even so, I totally agree - blogging is amazing in its rewards, getting support and love from all over. 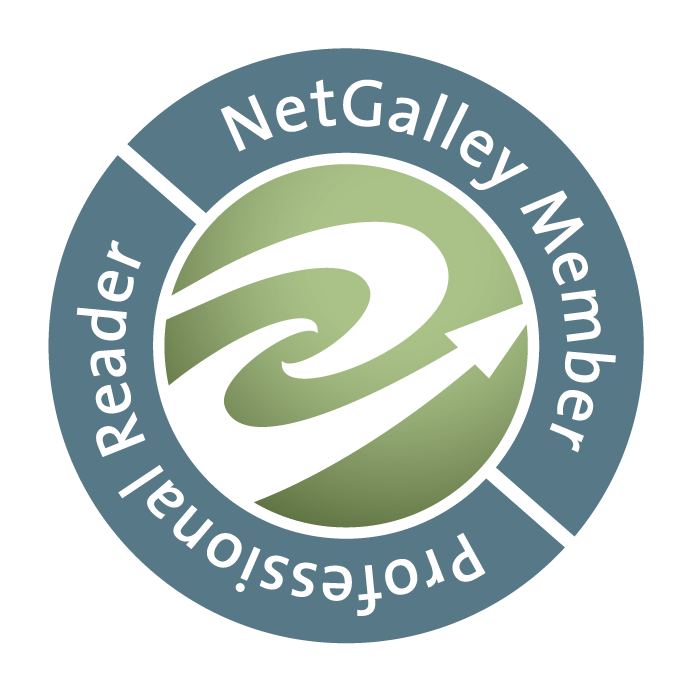 Your blog is a bright spot for me, a favorite to read. Sorry to hear of your tough physical problems - but so glad these were surrounded by happier moments. Thank you Maureen, it's been a constant joy to read about your work in the past years, and of course hearing from others, too. I appreciate your comment. You should be proud! What an accomplishment and recognition of a practice that sustains you and I might add others. The support you provide is beautiful. You are a teacher through and through. Thank you for all your words. I look forward to them. And I look forward to yours, too, Julieanne. You and others make me want to get back in the classroom again. Thanks! Congratulations to you on 1200 posts and to your newly minted Eagle Scout! Both are accomplishments to be proud of. I feel as you do, Linda, that I am so fortunate to be part of this nurturing, supportive community. The motivation really is the writing. Thank you for being such a good friend all these years. Thank you Catherine. I'm glad we've met. It' so nice to know someone in person and then continue online. And yes, the writing is a big piece of my life. Thanks Max, you know that I enjoy it very much. I appreciate your words! Happy blogging. Hope it's going well. Thank you Linda for just being you. I know you have touched many bloggers' lives just through your comments, especially during this month long challenge. Your presence in my comment box and in my writing life are a joy. I (and many others I am sure) am blessed to have met you in person. Good luck with your surgery and hopes for healing. Thanks, Leigh Anne. There is a wonderful group that surrounds us, isn't there? It's good for all of us, and I'm so glad I got to meet you too. Hope it won't be the last time! 5 years of wonderful writing and community connections. Many of us cold have thrown a 5 year blogging party with tea, cookies and balloons. No, books and pens and journals! I wonder how many there are left? Your idea of a tea party is divine, Terje. Maybe someday I'll get over the water! Linda, this is year 5 for me, too, and I am back because of friends like you. I keep writing because I have found a safe place to land. Isn't it great that we have stayed for these years? Thanks Margaret. I hope someday we'll be able to meet! Linda, first of all congratulations on your 5 year mark. That is wonderful. You have been an inspiration to so many bloggers that you should feel well-loved. Hugs to you my Twitter friend. Congratulations to the Eagle Scout-that is a huge community award to be proud of. Lastly, I am sorry for your dental issues. After two months of visits I am happy to say I have a crown that fits well. I am sure that soon you will find relief too. Have a happy Saturday and see you tomorrow. Thanks, Carol, it's been a pleasure to have you in my life. And thanks for the dental response. I am hopeful! So much to celebrate in spite of your dental woes. Hoping all goes well and that you'll soon get some relief from the pain. Kudos to your grandson - quite an accomplishment. And to you also, for 1200 posts over 5 years. Amazing. Love reading your slices. Thanks, Judy, the connections are amazing, aren't they? I have run out of time this week trying to comment on so many posts. I know I've missed getting up to date with you! I sure do hope that you are feeling better quick! I am so happy I found your blog, as I really enjoy reading what you have to share. I have only been blogging for 2 years or so, and just started my reflection blog this last week, and I am just astounded about the love and support that I've gotten and the people that I've met through it. It's truly amazing to have so many friends from all over the place, some of which I haven't even met. :) Happy Celebrations to you! Thank you for reading, Ana, and for your wishes. I hope I'll be able to find you to see what you're writing and sharing. Linda, what a journey of writing we have been on together! You are far more prolific in producing writing than I am. Kudos to Carter for achieving Eagle Scout! That is something to be proud of for the rest of his life. I hope your dental issues will be resolved and you will heal quickly. Thank you Elsie, yes it's been such a wonderful journey. I love the time we've been able to spend together. Linda, your spirit of celebration in spite of the pain is inspiring. Also, I love the way you love and celebrate all the milestones of your grandkids. In my five years blogging, I have wayyyyyy less than you. I started in 2012 as well and your voice and positivity has been constant. Life and kids and work seem to control the ebb and flow of my writing. 1,200 posts--wow! Thanks Maya, I started in 2011, just to let you know that I did have one extra year for those posts. It's been a good time these years, knowing people like you, learning what you do and why. Always a pleasure. 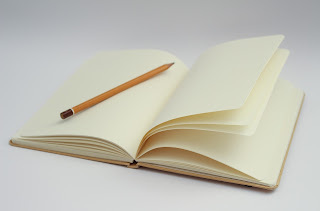 The idea of "writing fills me up in profound ways" is why I came back to it after an absence. Love that phrase. I'm so very sorry to hear about your medical thing with dentists and more; glad they were so accommodating and helpful. And a huge congratulations to your Eagle Scout grandson - that is quite an accomplishment! Thanks Karen, and I'm glad you're back writing again, figuring out what works for you. It's a time that's rather precious to me. Congratulations to your grandson and to you for your persistence and many blog posts over the years. Thanks so much for sharing yourself.